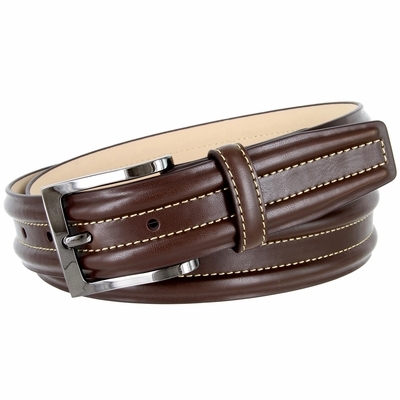 1 3/8" = 35mm Smooth Genuine Leather. Feathered Edges, center double stitched two raised line to a 3D effect with 5 Adjustment Holes. Gun Plated Buckle and matching Leather Loop.